Seaweed has been described by some as a superfood, the new kale, but to date there is little evidence based research to uphold these claims.This is because until recently seaweed, which is at the bottom of the food chain, has not been considered worthy of research funding. Seaweed has a well documented history as a valued edible in the East, but in the West, the general consensus has been one of widespread indifference. The Roman poet, Virgil dismissed seaweed in three words: nihil vilor alga – vile and worthless. One of the questions that I’m often asked when I suggest foraging and cooking seaweed is about its toxicity. The brown desmarestia spp is best avoided because they release sulphuric acid. If you do want to pick these for any reason, you should store them separately. In fact, it’s a good idea to pop each seaweed into a different bag because this will make it easier to sort and wash the weeds, when you return to the kitchen. In Britain there is no documentation of death by seaweed but some don’t taste that nice, and some species require culinary coaxing to ensure that they are appetising. There are details of how to prepare and cook with about dozen species of seaweed in my recently published book Seaweed in the Kitchen. So the deal with seaweed to date is: to avoid the desmarestia spp and to pick living, not storm cast seaweed, on a seashore that is far from human effluence. Use scissors or a sharp knife to cut your seaweed and this will ensure further growth. Pick for your personal use and no more than a 1/6th. 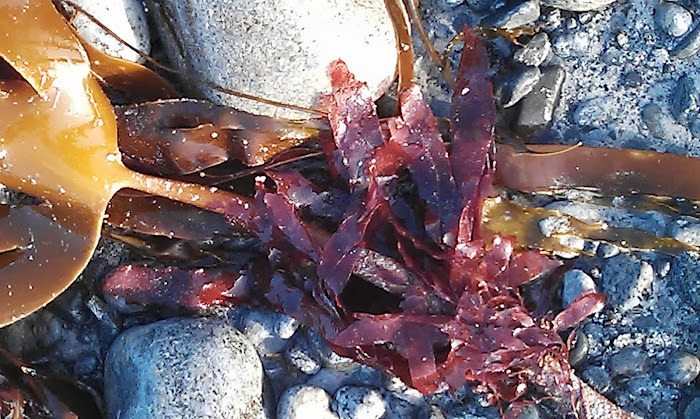 Follow these simple seaweed foraging rules and the coast should be clear. Mushroom toxicity is comparatively well documented. Sometimes a little mushroom knowledge is a dangerous thing because species are often muddled by fungi hunters from all walks of life, the world over. Cooking doesn’t kill fungi toxicity. Over 5,000 mushrooms grow in Europe and only about 1/5th of these are considered to be edible. Antonio Carluccio suggests that about thirty mushrooms are considered poisonous and a further thirty suspect. He also notes that just because an animal finds a fungi moreish that this is no guarantee that it will be safe for human consumption. The scary stats are there, but dodgy mushrooms are in the minority. It does however only take one mistake to not have to be around to debate the toxicity of fungi. Never chance it with a mushroom ask forager Mark Williams says, ‘Don’t munch on a hunch’. A sensible foraging knows that if there is the least ID doubt over a wild edible - leave it out. Having laboured hard over the baddies, which of course you will find displayed in a decent book or website rogue’s gallery, I return to the tasty goodies. I spent last Sunday encouraging children as young as two to pick (and hopefully later eat) wild mushrooms. We had a good supply of baby wipes because children seem to enjoy watching and on occasion, handling, slug gourmands as they chomp their way through fungi. Yes, be cautious but do give wild mushrooms a chance. Dry in a food dehydrator, low oven or warm dry place. Finely ground dried wild mushrooms can be used for seasoning when cooking. 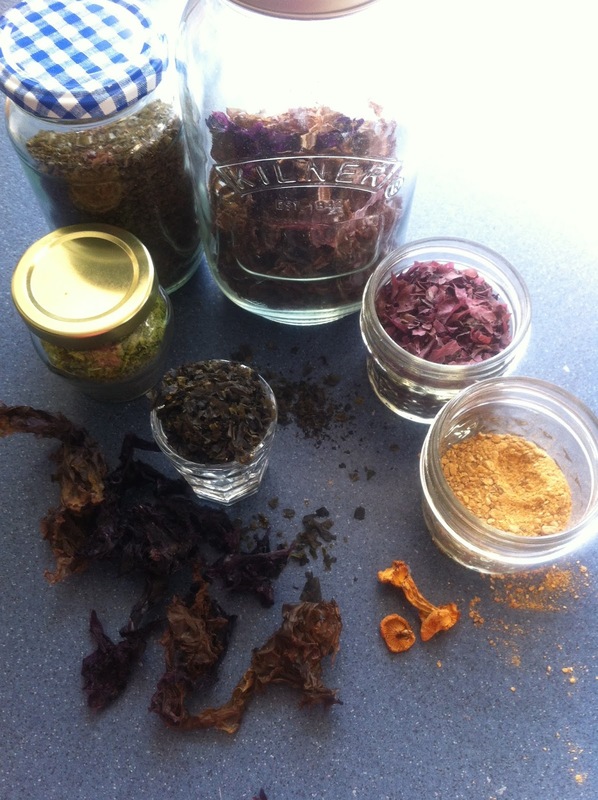 Heat 1.5 tablespoons of dried ground mushroom or dried seaweed with 500ml of water and simmer for 10 minutes.